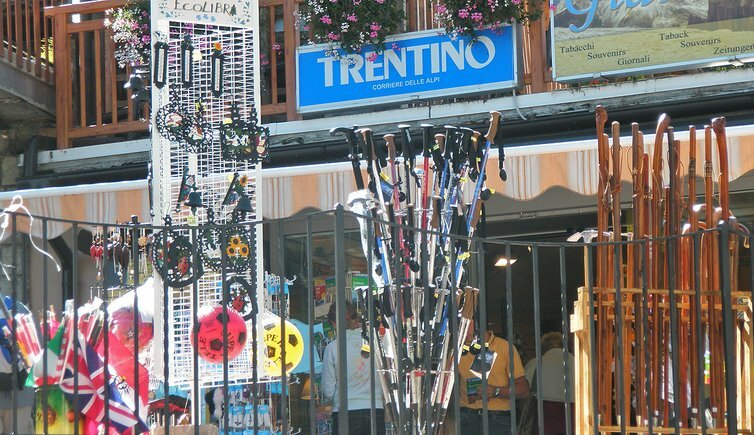 Boutique, delicatessen shop, specialised fairs or flee markets - the Trentino offers endless possibilities for shopping. Cheese market, boutique, souvenir shops, second hand shops, specialised fairs, farmers’ markets or shoe shops - the Trentino offers anything you can imagine and even more. Shopping is an absolute must-do on holidays, don’t you think so? No matter if city or village, north or south, there are plenty of possibilities to make your luggage weight more on your way back home. What about taking a piece of holidays home? Maybe a typical mountain cheese or simply a souvenir? We are sure, you will find something you like in the shops of Trentino.